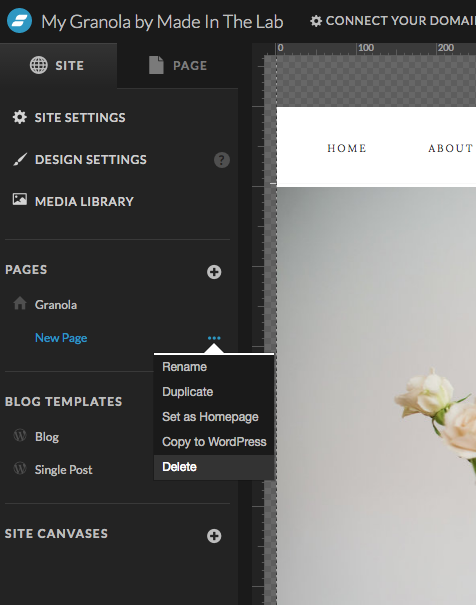 Learn how to delete elements, canvasses, and pages from your site. 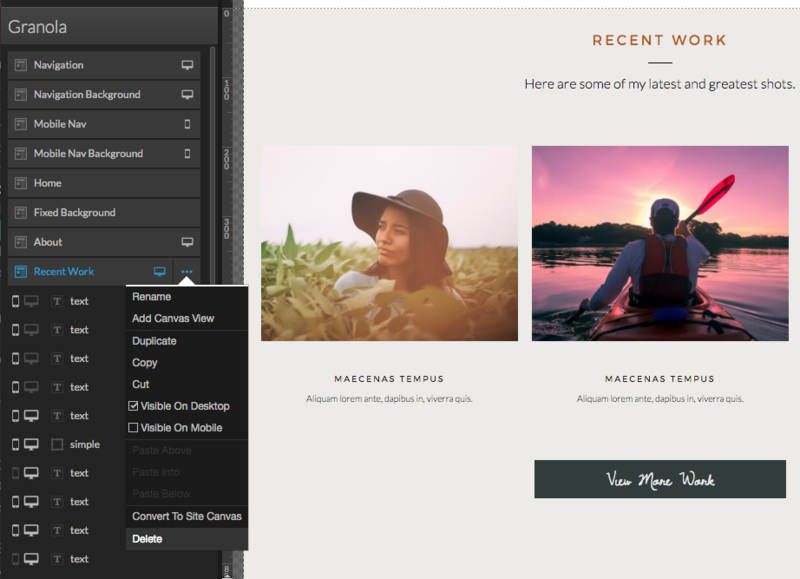 One of the fantastic things about Showit is the creative freedom you have to add or delete elements to make your site unique to you and your business. There are a few different ways to delete the building blocks of your site design depending on what it is you are trying to delete. Below you will find those solutions! To delete text, images, icons, or simple shapes, simply click to select the element you want to delete on the canvas so the blue box is around it, then hit delete on your keyboard. This action an be undone by using the undo button if you have deleted something by accident. To delete a canvas, simply select the canvas you want to delete and then click the three dots to the right of that canvas layer to select the delete option. This type of deletion can also be reverted using the undo button. Finally, to delete an entire page, which is a function that cannot be undone and will display an additional dialogue box to confirm you do indeed want to follow through with the action, here is how you would do so. Go to the site tab, then down to the page you wish to delete. 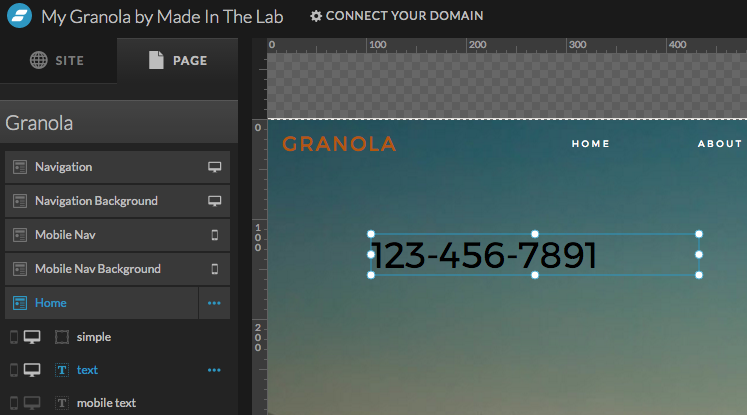 Click the page and use the three dots next to the page layer to choose delete. Choose delete if you are sure you want to delete the selected page, remember, this cannot be undone.